But talks at the World Health Organization in Geneva decided more discussions were needed to see if it could be possible to publish in full. They showed that the H5N1 virus could relatively easily mutate into a form that could spread rapidly among the human population. 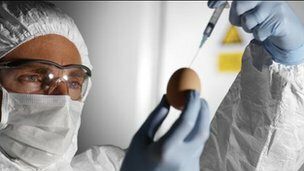 It agreed to extend a temporary moratorium on research using lab-modified H5N1 viruses, but also recognised that research on naturally occurring virus “must continue”. Dr Keji Fukada, assistant director-general of health security and environment for the WHO, said: “Given the high death rate associated with this virus – 60% of all humans who have been infected have died – all participants at the meeting emphasised the high level of concern with this flu virus in the scientific community and the need to understand it better with additional research.